Hacking a Nest Thermostat to control 10,000 Watts of Workshop Heaters! Home/Tutorials/Hacking a Nest Thermostat to control 10,000 Watts of Workshop Heaters! and get control over your heating bill this winter! With the winter just around the corner, heating your home will be something that will start eating up your budget. Now there’s many different ways to heat your space: Oil, gas, and electric are the most common. If you have electric heating then having an accurate thermostat (programmable is even better) is something you might want to look into. That way you won’t be running the heat as much when it’s not needed, like when you’re away or at night. One of the best one on the market today is the Nest Thermostat. Not only is it very accurate, but offers programming, reports and is even controllable over the internet. In my workshop I have two 5000W overhead heaters, these have fans in them and are able to heat up the workshop fairly quickly. They have integrated mechanical thermostat in them, but those are very inaccurate and not easy to adjust since you have to reach to the ceiling where the heaters are installed to adjust them. 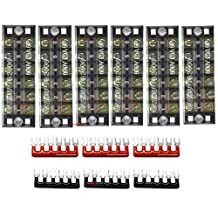 Finding a programmable thermostat that supports 5000W is impossible, and even if I could find one, it would take two of them to connect each of the heaters. In this tutorial we will see how to setup the Nest Thermostat with some Contactors and a Relay to control both forced air 5000W heaters, but you could even control more if you needed. Since this will be installed in the workshop, I don’t need the fancy metal enclosure of the flagship NEST thermostat, I decided to go with the cheaper NEST E Thermostat. This project is dealing with very HIGH VOLTAGE (240V)!!!! So as a disclaimer, I’m only providing this information as educational, if you decide to try this, be aware that messing around with HIGH VOLTAGE can cause major injuries and even DEATH!!! So if you are uncomfortable, not sure, or just plain scared around HIGH VOLTAGE… PLEASE DO NOT TRY THIS!!! Now with that out of the way let’s continue…. Click on the picture of the diagram above to see the connections enlarged. We have two VAC transformers, one to power the NEST thermostat and a bigger one to power the contactors. 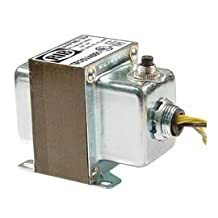 *note: These are VAC transformers and not the familiar DC transformers that we used when creating electronic projects. VAC is what is used in these systems (like your home doorbell). The smaller transformer used to power the Nest thermostat has multiple options for VAC: 10, 16 and 24VAC. The NEST E thermostat voltage input range is between 20-30VAC. 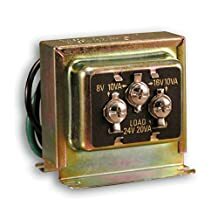 **In my testing I found out that these doorbell transformers voltage is not very accurate. When testing the 24VAC output of the transformer, it was putting out around 29VAC, which is near the upper range of the NEST thermostat. I chose to use the 16VAC output of the transformer which was around 21VAC and seemed safer. 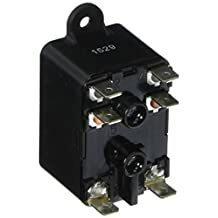 The other transformer is bigger, since it will provide power to the contactors and we want to make sure that they have maximum power when switching the 240V to the heaters. *note: You can find a list of all the components used in this tutorial at the bottom of this page with links to amazon. The contactors are 24VAC and rated at 40Amps when switching 240V. Each of my heaters (5000W) are rated at around 22.5Amps. So well below the max of the contactors. The Relay is a regular 24VAC fan relay that gets activated by the NEST thermostat to turn on the contactors and provide power to the heaters. Everything is housed inside a plastic enclosure with a lockable door for safety. The NEST E thermostat in this project basically acts as a simple relay. When it detect that the temperature is too low, it will activate the Fan relay, which will turn on the Contactors. The Contactors then connect the 240V to the heaters. When the set temperature on the NEST is reached, the opposite happens. In this project the main thing that could go wrong is that the Contactors for some reason get stuck on the ‘ON’ position and provide power to the heaters indefinitely, which would mean a very bad day. My fail-safe is that in each one of my heaters has a redundant mechanical thermostat installed inide, and each one is set to around 18 degrees Celsius (65F). So in the remote case that the contactors don’t shut off, the mechanical thermostat installed in the heaters would shut down the power, even if the contactors are still providing current. Even if I set my NEST thermostat by accident to a ‘billion’ degrees, the thermostats inside each heaters would only allow up to 18C degrees. I’ve been using this for about 2 months now, and I’m loving the fact that I can turn on and off the heat in my workshop whenever I want. If I’m inside the house and know I’m gonna go in the workshop later, I can from the Nest website login and set the temperature. I can even do it from my iPhone or even my Apple Watch if I want. Sometime I leave the workshop and forget to turn down the heat, no problem, just do it from inside the house! I very happy knowing that I won’t be wasting energy and money, heating my workshop in the winter when I’m not in there, and not coming into a freezing workshop when I go in. Don’t forget to check out the YouTube video below if you want more information. Hope you enjoyed this project and see you at the next one! What is the reason for using a separate transformer for the nest? 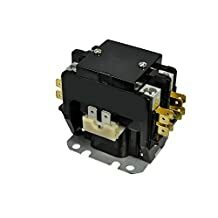 Did you try connecting both the contactor and nest control circuits to the TR75VA001 and have issues or were you just being extra cautious. 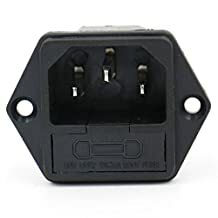 Also, any reason for not just using one of the heater supply circuits for the primary into the transformer(s), so you just have 2 supplies in, and 2 out? Hi Jon, about the 2 seperate transformers I was just being extra cautious 🙂 but it shouldn’t be a problem using only the bigger one. About using one of the heater power supply to drive the transformer, it could be done as well, make sure to use only one leg (110V) and not 240V. I did the tutorial this way to make it simpler to understand all the connections but if you are comfortable with electricity then your idea of removing components is ok. Thank you for your comment and good luck with your project. Yes, i have a neutral available in the supply cables so was going to steal one hot and one neutral to feed the transformer. Where did you get the Plastic enclosure? Found it at an electronic surplus store, but since it’s made for low voltage stuff, it’s not up to code. Technically you should be using a metal box to make it up to code, so any electrical box should work as long as it’s big enough to hold all the components. Hope that helps and thanks for dropping by.